The neon tetra has been a favorite among aquarium hobbyists for years, possessing vibrant colors and a peaceful, easygoing temperament. This fish has minimal demands and is one of the easiest freshwater fish you can raise. This brightly colored, pint-sized species adores the company of others, making it a great fit for any community tank. 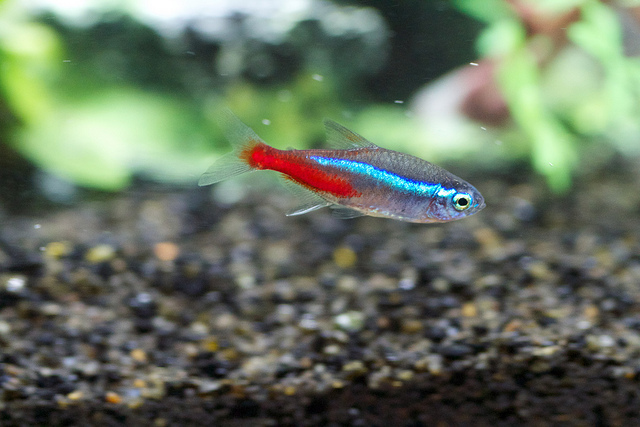 If you’re considering raising neon tetras, don’t hesitate! 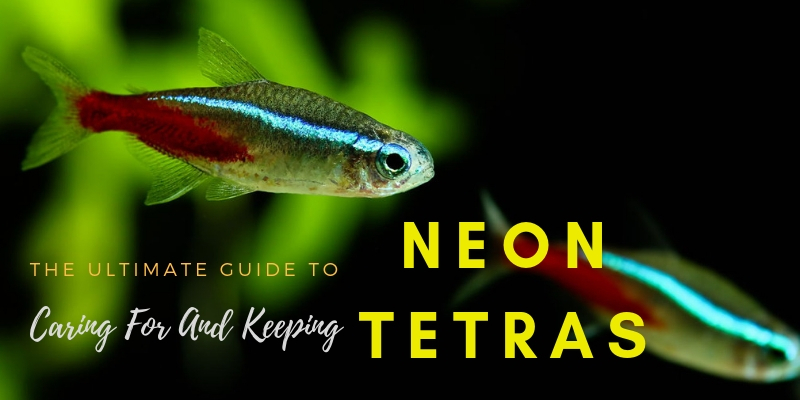 They are incredibly easy to care for and we have included all the details on what you need to do in this complete neon tetra care guide. What Do Neon Tetras Eat? 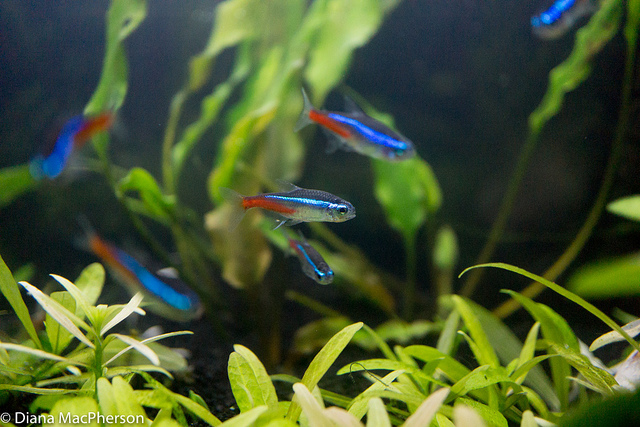 Is A Neon Tetra Right For You? Neon tetras are scientifically known as Paracheirodon Innesi and were first discovered in 1934 in the Amazon jungle. As a freshwater fish, it prefers the blackwater and clearwater areas of the Amazon basin of South America. Its bright coloring makes it visible in these dark streams, where it tends to dwell in the wild. This fish is found in the western and northern portions of the Amazon, with its habitat ranging from southeastern Colombia to eastern Peru and western Brazil. It prefers warm waters, with ideal temperatures ranging between 68- and 82-degrees Fahrenheit, with a pH between 4 and 7.5 Preferring acidic blackwater streams, this fish can also be found in clear streams – but never whitewater rivers. These fish dwell in the middle of the water column, staying close to the dense undergrowth. They prefer to be around many other fish in this densely populated area, because it gives them more places to hide and the ability to duck behind or beneath vegetation. They also like murky, dimly light waters, which explains why they are so brightly colored. As one of the most popular fish species for aquarium hobbyists, the neon tetra was first imported to the United States in the mid-1900s. Today, most neon tetras are farm-raised in Hong Kong, Singapore, and Thailand, with very few collected from the wild. The neon tetra has one of the most unique appearances among aquarium fish. It is typically found with a silvery blue shade, which covers its head as well as all the scales down to its adipose fin. The tetra also has a bright red stripe, which distinguishes it from other types of tetra. The stripes and iridescent coloration help the fish locate each other in murky waters. Despite this coloration, the neon tetra is almost entirely see-through. This helps the fish hide from predators with a unique adaptation. When it feels threatened, the neon tetra has the ability to turn off the bright blue and red markings, allowing it to become almost completely invisible. These fish have rounded noses and large eyes that cover a majority of its head. Mature neons are generally between an inch and a half and two and a half inches in length. Females tend to be slightly smaller than males, although this usually isn’t noticeable (particularly when the female is pregnant during the breeding periods). Neon tetras are frequently confused with cardinal tetras, which are colored in a similar way and also exhibit common behaviors. However, the red horizontal line in the neon tetra only runs from the middle of the body to the tail, whereas in the cardinal tetra has a red line that runs the length of its body. Black neons are also similar to neon tetras. Also a shoaling fish, these fish are brightly colored but not quite as vibrant as neon tetras. They can be equally active, but if you’re looking for a vibrant fish the neon tetra is the way to go. 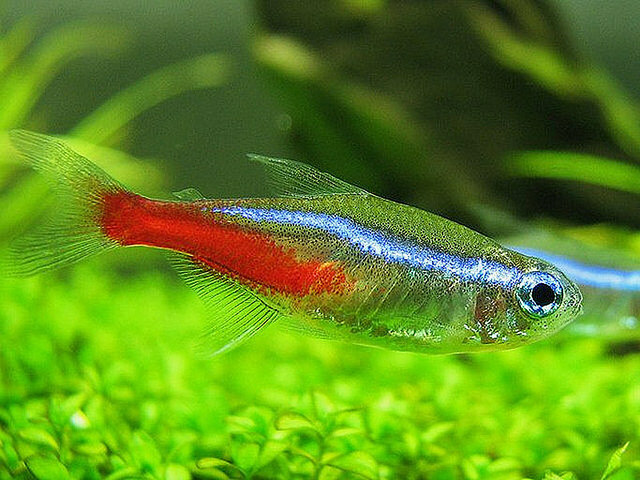 Neon tetras are exceptionally peaceful fish, and prefer to be kept in community tanks where there are multiple fish of the same level of aggression (which is minimal). They are small in size and should be included in tanks that are comprised of fish that are equally small in size. When kept with other members of the tetra family, neon tetras can look quite beautiful, as they shoal in colorful groups. That being said, neon tetras can also be mixed with a range of other fish, as long as you remember that these fish are more susceptible to abrupt changes in water quality than are other fish. 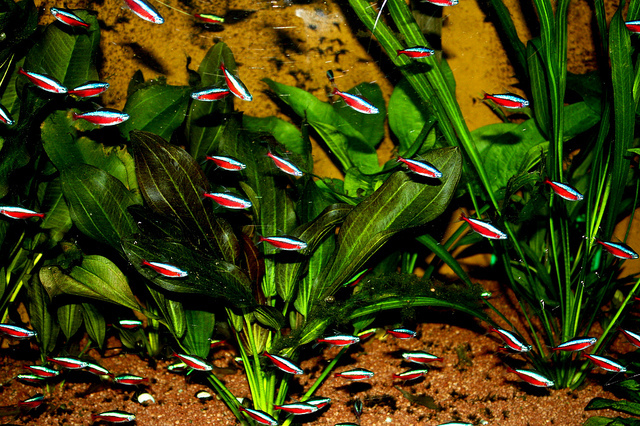 Neon tetras should always be kept in groups of at least five or more. If they are not kept in a shoaling group, they will become stressed and will spend much of their time hiding. This kind of behavior can also worsen their immune systems and cause them to contract serious illnesses. 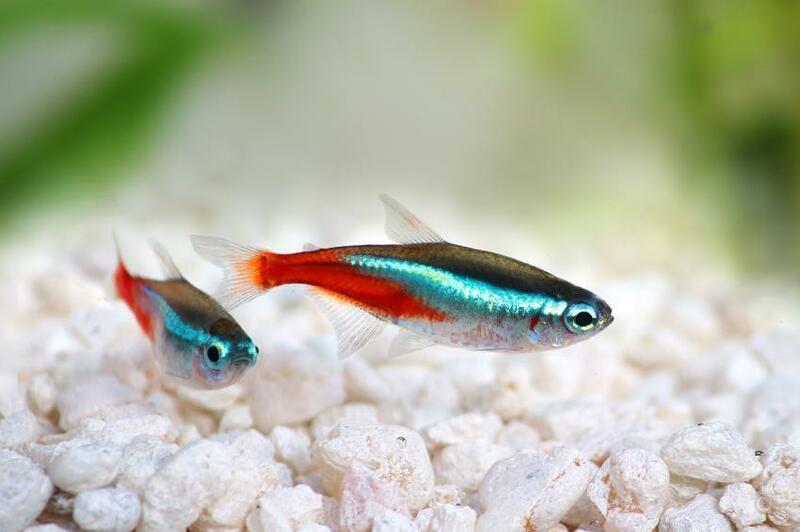 If you notice that your neon tetra has lost its color or is engaging in solitary behavior at the bottom of the aquarium, it may need to be treated for disease as soon as possible. Neon tetras are small fish, which can sometimes trick aquarium owners into thinking that they don’t need large tanks in which to house them. However, this is false. Although neon tetras are small, they need to be kept in large groups. Therefore, the smallest size tank you should keep your tetras in is ten gallons. Ideally, your tank should be twenty to thirty gallons to accommodate a dozen neon tetras or so. Neon tetras do not like to be in unfiltered light, and prefer shadowy areas instead in which they can hide. Including lots of decorations and plants will give your neon tetras plenty of places to hide and get away from other fish. Including floating plants in your tank is a great way to add some nicely filtered light to your tank. Water lettuce provides excellent plant life without blocking all light entirely. As your plants grow and begin to blot out the light, remove them so that light can continue to filter to the bottom of the tank. The same rule applies if your floating plants begin to turn black and rot. They will not be beneficial to your neon tetras in this condition, so it’s important that you pull them out as they age. A bottom plant is another option for the neon tetra. These fish enjoy broad-leafed and fine-leaf plants, so consider species like narrow-leaf anchariids and broad-leaf anubias. Make sure there is lots of vegetation, so that the tank mimics the tetra’s natural habitat. While plants provide some of the necessary hiding spots within a neon tetra tank, you also need to add other hiding spots, like decorations. Consider adding caves, castles, and coves to provide your fish with plenty of spaces in which to swim. This will give them shelter during times of play as well as when they feel threatened by other fish species. You can also use driftwood and small rocks or pebbles, just as you would find on the dark, densely planted bottom of a riverbed. Keep in mind that if you are decorating your fish’s tank with plants you also need to make sure there is plenty of space for the fish to swim around in. Place taller plants toward the back of the aquarium and include a few larger decorations, but make sure there is open water. A too-crammed fish tank can stress out your neon tetras and cause them to become ill.
Make sure you include some kind of substrate in your neon tetras’ tank. Ideally, you should use a black substrate, which will help to darken the tank and mimic the tetras’ natural habitat. This substrate will work well aesthetically with the green plants and bright colors of your tetras, and also make it easier to see if debris has clogged up on the bottom of your tank. Tetras are exceptionally sensitive to changes in water conditions. As a result, you should avoid newly cycled tanks and only use tanks that are well-established. Your fish prefer to be in waters with temperatures ranging between seventy and eighty degrees Fahrenheit. The pH should be between 6.0 and 7.0, with soft water at less than ten dGH. Add a low watt fluorescent light to provide soft lighting. Generally, you can get away with about two watts per gallon. While tetras are very sensitive to changes in water quality, they produce a small amount of waste and do not have extensive needs when it comes to filtering the water. A regular sponge filter will work just fine at clearing your tank. Maintenance is key when it comes to keeping up with the water quality of your tank. Try to perform a twenty-five percent water change each week, keeping in mind that changing out too much of the water can be dangerous for your tetras. Neon tetras are omnivores. In the wild, they will eat just about anything that comes their way, including small invertebrates, plants, and debris. Because they are so easygoing when it comes to their diet, there is minimal work involved in feeding them. These fish should be fed a varied diet of foods such as high-quality flakes (containing at least forty percent protein), micro fish pellets, and live and frozen foods. You can feed your neon tetra live foods such as brine shrimp, daphnia, dried bloodworms, or fruit flies. They can also tolerate small amounts of vegetables, either fresh, frozen, or blanched, such as lettuce and shredded cabbage. If you feed vegetables, just make sure they are chopped into fine pieces so that they can be more easily digested by your neon tetras. Neon tetras are tiny, and as a result need small pieces and quantities of foods. Make sure the flakes and pellets you feed them are as s mall as possible, and keep an eye on them for signs that they might be having trouble chewing. You can make your own fish food, but make sure it is adhering to all of the neon tetras’ nutritional requirements. You can get away with feeding adult neon tetras just once a day, but juveniles should be fed twice. Only feed the amount that they can eat within three minutes. Overfeeding is a common cause of death in neon tetras, and leftover food can contaminate the water quality of your tank, leading to disease and other problems. Neon tetras tend to be quite friendly and peaceable when it comes to coexisting with other aquarium species. 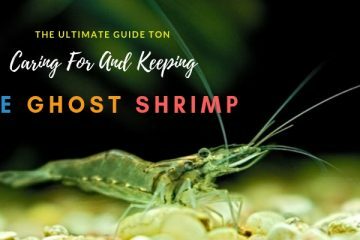 You can house them with small or medium sized fish, including species such as gouramis (Opaline and Pearl are the best, while larger gouramis should be avoided due to predation concerns), cichlids, barbs, small catfish, and cories. Try to keep your neon tetras away from more aggressive fish (who tend to nip the neon tetras’ delicate fins) such as bettas and angelfish. These larger fish can be violent towards neon tetras, and there have been cases where neon tetras have been killed or eaten by their aggressors. As an aquarium fish, neon tetras are not immune to any of the common diseases that tend to afflict these communities. 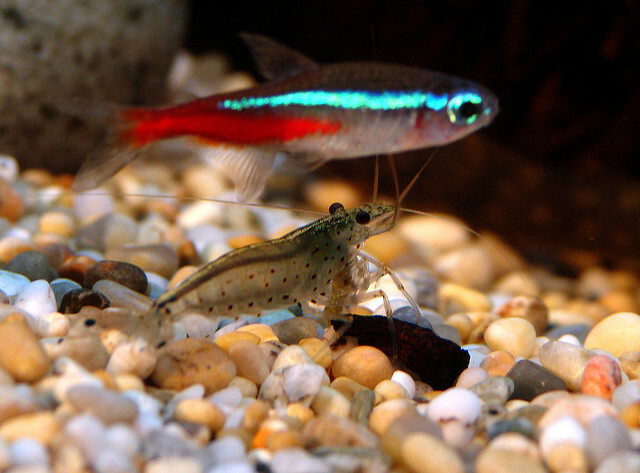 One of the most common – and most exclusive to this population – is the Neon Tetra disease. This disease is potentially fatal. While it originated in neon tetras, it can attack other types of tetras as well as other fish species entirely. 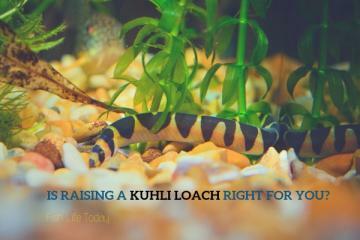 Therefore, it’s important that you be vigilant and eradicate it immediately if it emerges in your tank. 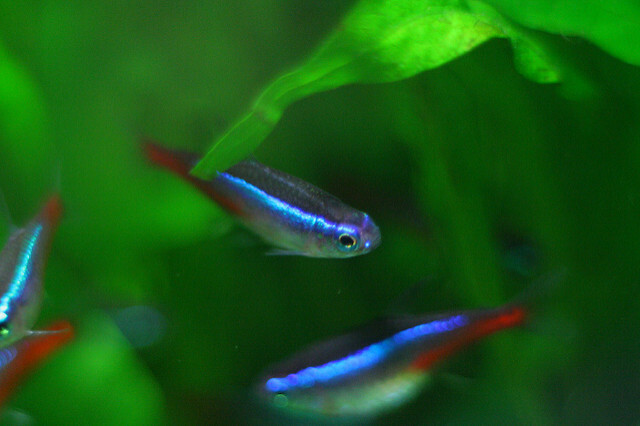 Neon Tetra disease is caused by a parasite. Once this parasite reaches the intestinal tract of the fish, it will eat its muscles, starting from the inside out. Your fish will exhibit signs of illness such as a loss of color, irregular swimming patterns (it may begin to hang out on the bottom of your tank), stomach cysts, and a shrinking stomach. 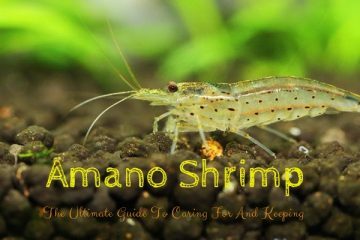 While there is currently no cure for the disease, the best course of action in getting rid of it is isolating your fish and putting any affected species out of their misery. Luckily, this devastating disease can be prevented. Maintain adequate water temperatures, ensuring that all new fish species or other live organisms that you add to the tank are healthy and free of disease. Take the time to quarantine and inspect new fish before you add them to your tank, too. Of course, neon tetras are also prone to common diseases such as fin rot and ich. Ich is a bacterial disease that can be prevented by maintaining perfect water quality, while fin rot is caused by too-cold waters. Paying attention to the conditions of your tank can go a long way in preventing and treating disease outbreaks in the tank. It can be a bit challenging to differentiate between male and female neon tetras, though not impossible. Males tend to be slenderer, possessing straighter blue lines than that of the females. While breeding neon tetras isn’t a common practice for commercial purposes, it can be done with relative ease in the home aquarium. To get started, you should put your breeding pair in a separate tank. This tank should have minimal light, with temperatures decreased to around 75 degrees Fahrenheit. You should also lower the pH of this new tank to somewhere between 5.0 and 6.0. The lower temperature and pH will indicate to your pair that it is time to breed, as they typically spawn during the colder winter months in the Amazon. When the tank is ready and your pair is conditioned, the female will spray her eggs inside the tank. A female neon tetra has the ability to release about a hundred eggs at a time, scattering them amongst the tank. Once the eggs are laid, they are fertilized by the male neon tetras. Neon tetras are cannibalistic, so it’s important that you remove the breeding pair from the tank as soon as the egg laying process has finished. If you don’t, you run the risk of the adults eating their own fry. Tetra eggs generally hatch within two to three days. The fry will feed off the egg sac for several days, after which time they will bae able to swim freely and search for alternative food sources. You can feed them infusoria, and as they grow, add brine shrimp and finely diced bloodworms to their diet. In the wild and under optimal circumstances, neon tetras can live for up to eight years. In captivity, however, these fish generally only live for about five years. Each year, millions of neon tetras are sold all around the country. 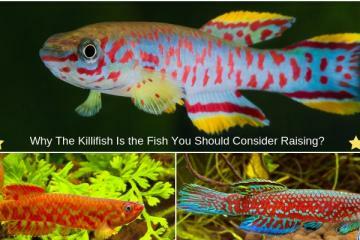 This species is one of the most popular aquarium fish species and is both attractive and easy to care for. 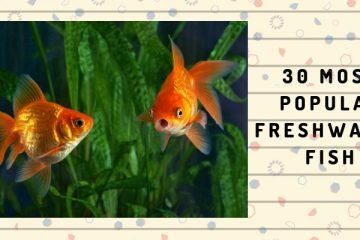 These fish are easy to feed and to transition into a new tank and are ideal for beginners who are new to the hobby. 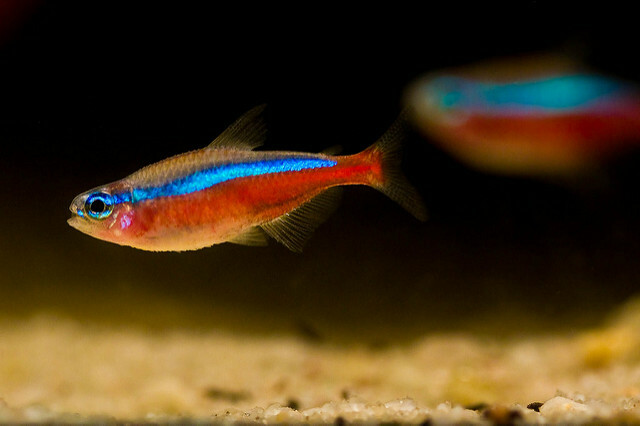 If you already have a vibrant community tank and are able to keep up with the neon tetras’ specific needs in regards to water quality and parameters, then keeping a neon tetra could be right for you. 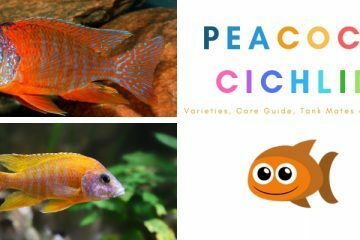 Consider this fish species if you are looking for a long-lasting source of entertainment and brilliant color in your fish tank.